The growth curve of the Shopify Plus platform is quite amazing. Specifically when you look at what powers the top 10k ecommerce websites, their growth staggers over most others like a giant. Why is that exactly? Convincing marketing? Amazing features? The best talent? I think it is a serendipity of several things. Personally, our team loves Shopify Plus because it is extremely reliable and we can mold it to meet the needs of every client we've come across over the years. Several times we’ve been told by a client that Shopify Plus isn’t as customizable as Magento. With having over a decade experience with ecommerce platforms, I can refute that as an idea on paper as well as with some proof from past projects. Can you maintain control of the code if you choose Shopify Plus? Shopify Plus gives you as developer complete control over your code all the way down to a per-URL level. In theory, every single page on your website could have unique code/design of its own. That’s probably not a practical idea, but knowing your programming needs are not handcuffed by the platform is important in making a good investment in technology. When paired with Shopify Plus’ extensive APIs and Shopify Scripts, the only limit to what you can create with the platform is the talent you surround yourself with. Can Shopify Plus power truly unique experiences? THAREN is a great example of a brand built on the idea of a high-end, customizable product. There was no option but to build something that matched their uniqueness, quality and professionalism. In the end, we were able to create a polished experience that allows a customer to seamlessly walk through a customization process. Each choice you make cascades into the next, meaning there are thousands of possible outcomes. Some choices affect price, some don’t. Some track inventory, some don’t. It’s intense, but the customer never feels this as they go through the process. The customer’s choices are always visually displayed and helpful instructions are given when necessary. This white-glove treatment is what you expect buying a several thousand dollar product. 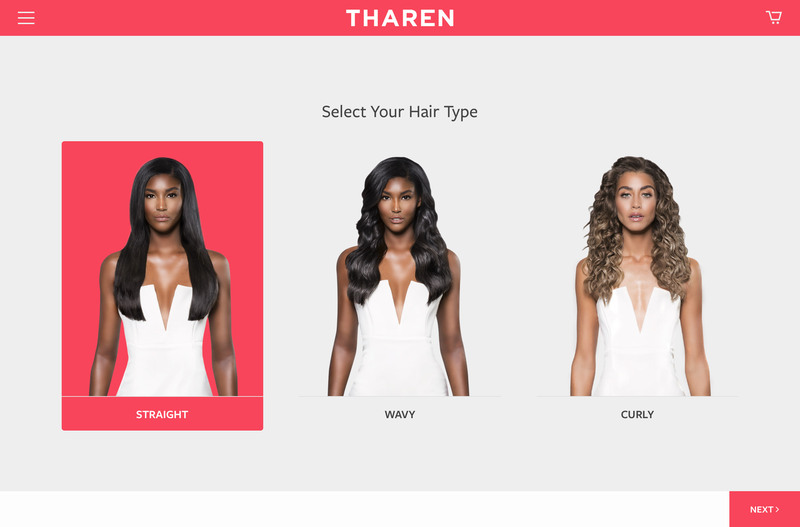 It’s a custom-fit solution to THAREN’s custom needs that’s only made possible by the flexibility of Shopify. Experience THAREN or read more about the project. 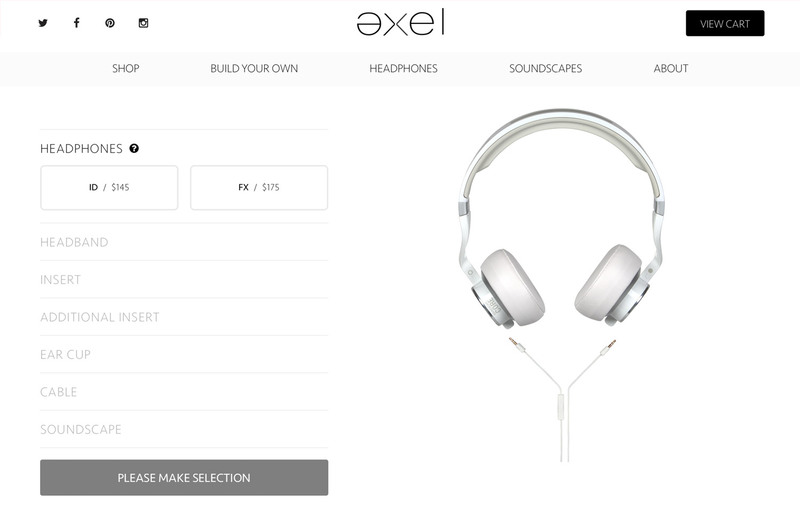 Axel Audio lets customers custom build a pair of modular headphones unique to their personal style. Our goal was to give the customer a quick way to build their own personalized version. The most challenging aspect was maintaining the ability to go back and edit a previous choice while maintaining the proper visual presentation of the final version. All of this also had to work seamless on mobile devices…easy right? Well maybe not easy, but more importantly, it was attainable with the tools and structure of the Shopify platform. Try out Axel Audio’s customizer. The importance of the tools you build your ecommerce business on cannot be overstated. With the consistent, rapid change to the technology that powers the web, it's important to choose the right tools to power your business. Making the wrong decision can be costly if not crippling to your business. The ability to take your brand in the direction you need without technology limiting you is crucial. Avoiding over-investment in a platform that you’ll outgrow with success or that requires increasing effort to manage should be a major part of your decision in where to build your ecommerce home. Shopify Plus meets the expectations for nearly every request and scenario you can present to it, and that’s something Magento and other competitors cannot say (truthfully). Shopify Plus is so confident that complex, high-volume merchants will agree with this that they are giving six months free to brands that make the switch from Magento. Pretty great, right? Think about this, if you take the money you will save over those six months and roll into developing a new website, you can basically re-platform at little to no cost to your business. That’s unheard of. If you’re currently using Magento, there’s no better time than now to consider the switch. Our team is standing by to help you make the right decisions and walk through the processes involved. We have the experience and tools built to make migration processes quick and painless. Is your business ready to move from Magento to Shopify Plus? If so, let’s get started.